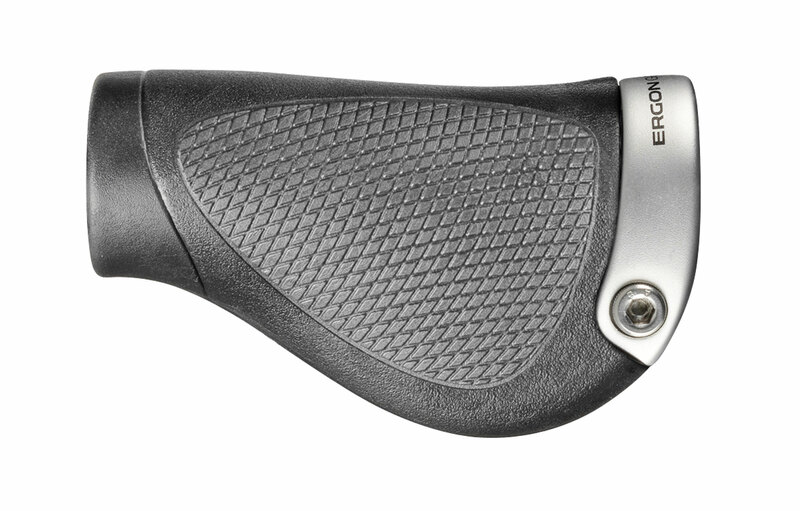 The original ergonomic grip – continually improved over the last few years. As the Worldwide standard in ergonomic function, materials and quality, for 2015 the GP1 has a new internal structure. More comfort is ensured by the three part internal support platform (pat pending) with varying wall thickness. German made rubber compound is of the purest quality. Forged aluminium clamps, unlike the pressed clamps preferred by the copies. As hand size is different from person to person, Ergon manufactures the GP in two diameter sizes. The reason for this is that a larger hand is better able to grip a larger grip with less stress and effort and vice-versa. 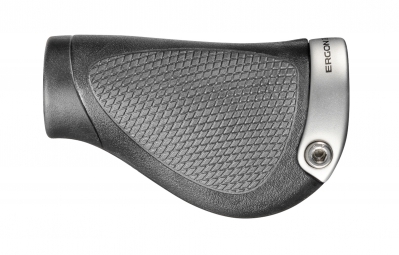 For Nexus, the Right grip is shortened. ERGON Poignées pour Nexus GP1 Noir is rated 4.5 out of 5 by 11.